Brad Tumy is a Senior Identity and Access Management Architect & Engineer, with nearly two decades of hands-on IT experience. 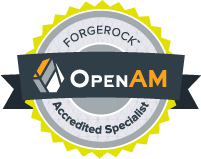 Brad Tumy has significant experience with ForgeRock’s Open Source Identity and Access suite and is one of the first independent consultants to achieve accreditation as a ForgeRock OpenAM Specialist. Brad Tumy has worked with a number of Federal agencies and commercial organizations architecting and deploying identity and access management systems. Brad Tumy has years of experience with FICAM and is often sought out to lead FICAM deployments. Click on the “Connect” tab to reach out and connect.